Choose from more than 50 of our adorable products: candy, dairy, snacks, pet food, toys, first aid... even magic items! There’s everything you need to run a pretend shop. Don’t worry, it’s easy! Simply download your favorite products and print them out using your home printer — a few minutes of cutting, folding and gluing and they will be ready for your pretend shop. 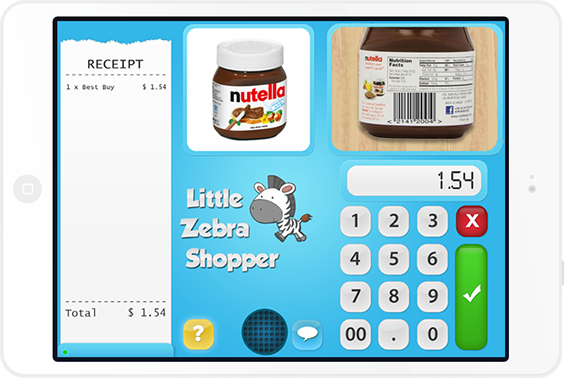 Turn your phone or tablet into a fully functional cash register! 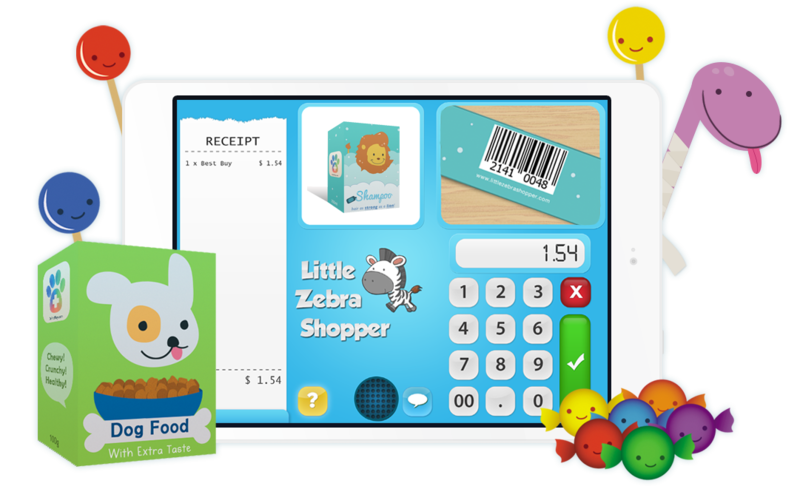 Each product has a unique barcode which allows you to scan it with our Little Zebra Shopper app. Choose the option that works the best for you.